My family and I moved back to Fredericksburg, Virginia from California after our two daughters were born. My husband, Jeff, was born and raised in Fredericksburg and we have strong family ties here. We met in California while I was working in wireless technology sales. California was beautiful but we decided that the Fredericksburg area offered a better work/life balance, standard of living, quality of life and educational opportunities for our children. As your realtor, my professional experience in the technology industry is a value-add that will help you sell or purchase you new home in Fredericksburg, Stafford, Spotsylvania, King George, Caroline, Orange, or Prince William. I incorporate my knowledge of technology and data search engines to your advantage. Buying and selling a home is an emotional as well and financial decision and I’m here to help make those decisions easier. I understand that schools and safe neighborhoods are very important qualities in a family’s decision, as well as making sure your house is a good equity investment. I’m here to understand what you need; I ask a lot of questions and over-communicate to meet your goals. My specialties include first-time home owners, luxury homes, and investment and commercial properties. Let me provide you with market data so you know that your decisions are informed. Please go to my testimonial page for previous client feedback. Exceed Expectations. That’s the motto by which Charlotte Rouse works and lives. Charlotte is a prominent realtor in Fredericksburg who specializes in both commercial and residential real estate. She has an uncanny knack for matching a client’s needs with just the right property and above all else communicates regularly and frequently with her clients. Charlotte is in the top 3% of worldwide sales and was awarded the International Presidents Circle Elite Winner from 2011 to 2018 as well as the Emerald Club- Multi Million Dollar Producer from 2011 to 2018. Charlotte has strong financing relationships and can connect investors with the right bank for all of their lending needs. She works closely with REDCO to help business owners who want to buy owner-occupied real estate. Over the past several years, I have listed and sold many short sales. There is so much miss-information out in the public regarding short sales and what may and may not happen throughout the process. Every bank handles the process differently. One of the most important things you can do as a homeowner listing their home as a short sale, is to price it right! Gone are the days of banks accepting less than market value. This can put the homeowner in a turbulent situation. 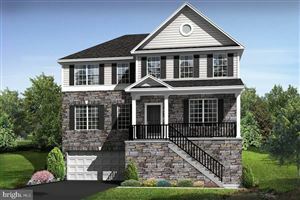 FredericksburgVAHomes.com has thousands of real estate listings of homes for sale in Fredericksburg, Virginia, Downtown Fredericksburg, Stafford, Virginia, and Spotsylvania County. 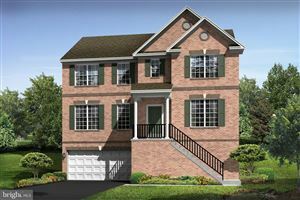 FredericksburgVAHomes.com allows you to search detailed information on homes for sale, local community information, school information, search homes by schools, view local events & activities, search luxury homes for sale, land for sale, investment properties for sale, commercial properties for sale, new construction homes and rentals. 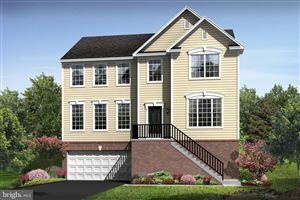 Real Estate listings on FredericksburgVAHomes.com provides up to date, accurate and extensive information about homes for sale including multiple photos, community information, walk scores, school information, house prices, virtual tours, google maps, listing videos and much, much more! I also offer my clients real estate tools to help their buying and selling experience. You will find mortgage rates, mortgage calculators and more! Whether you are buying or selling a home in Downtown Fredericksburg, Stafford, or Spotsylvania County, FredericksburgVAHomes has everything you need!